These days, busy lifestyles mean that we don’t always have enough time to give our dogs the right levels of exercise. 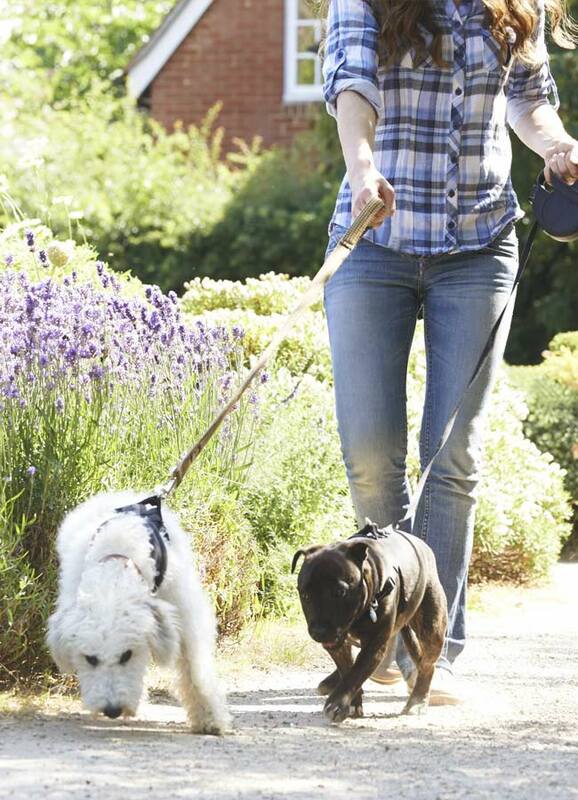 Luckily, Britain’s growing army of dog walkers mean that if your dog needs exercise, you’re sure to be able to find someone offering a dog walking service near to where you live. If you came to forwalks.co.uk to find a local dog walker, dog sitter or are looking for someone who offers dog homestay services, click ‘Find a dog walker’ and we’ll help make your (dog’s) wishes come true. What do dog walkers do? Just in case you’re not familiar with dog walkers and what they do, dog walkers will visit your home and take your dog for a walk. Your dog might be walked on its own or in a pair, or maybe even in a small group. This will depend on your preference, your dog’s temperament and the number of clients the dog walker has. Finding the right dog walker is important and we would always recommend meeting your dog walker in person and seeing how they get on with your dog before sitting down to agree walking days, times and so on. You want your dog to be happy, after all. Professional dog sitters typically offer a range of services to suit your needs. The typical dog sitter will double as a house-sitter, staying in your home while you’re away to keep your dog company and your house safe, providing meals, exercise and companionship for your dog until you return home. For many people it’s a more attractive idea than leaving their dogs in an impersonal boarding kennels. Some dog sitters will agree to visit your house a couple of times a day to feed and exercise your dog and treat it to a little company during the day. This kind of dog sitting service isn’t a million miles away from that offered by dog walkers, except your dog will usually get a lot more personal attention, handy if your dog needs regular toilet breaks. A lot of dog owners are reluctant to leave their dogs in boarding kennels while they’re away, seeing them as lonely and unfriendly places. Dog Homestay boarding is an increasingly popular alternative. As you might guess from the title, ‘Dog Homestay’ means your dog goes to live in the home of the person who will take care of it while you’re away. Dog homestay services mean that your dog gets personal attention and stays in a comfortable ‘homely’ environment while you’re away. Unlike a boarding kennels where dogs are caged most of the time, your dog gets to live with a family, possibly with other dogs too, depending on who you choose to provide the service.